Warm, sunny places where mountains meet the sea are always popular holiday destinations for the sun-starved, northern tourists who flock to the beaches of the Costa Brava for their yearly dose of vitamin-D and fresh seafood. The local DO supplies many of them with plenty of lubrication in the form of abundant, inexpensive and simple wine of a pinkish hue that matches their sun-burned skin. Like many destination DOs, the quality of the wine is in inverse proportion to the number of hotel bookings so there are few truly remarkable estates. Those farming steep hillsides in the back-country and focusing on indigenous varieties are usually the best bet. 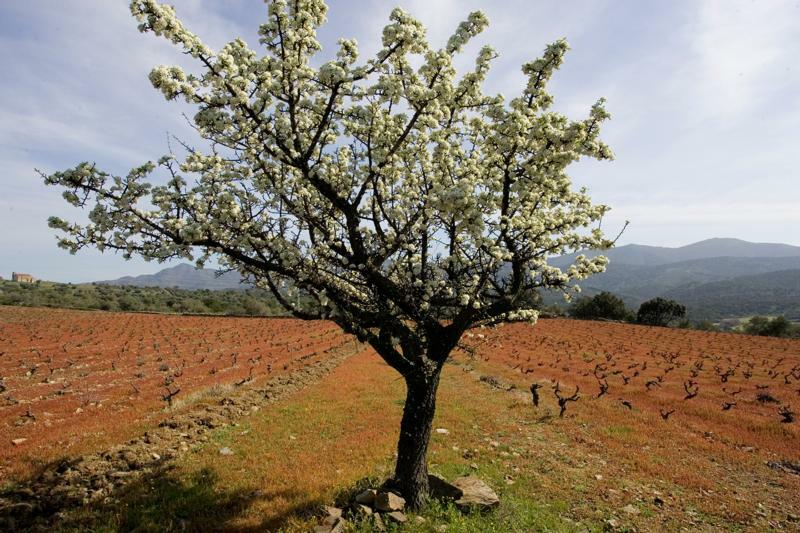 One such property is owned by the Espelt family, who for centuries have grown grapes in Empordà. In the early 2000s they built a cellar and began bottling wines under their name. Headed Anna Espelt, the inheritor of generations of grape growers in Empordà, the farming is certified organic by ECOCERT, not only because it makes better wines, but because the vineyards are located on a mix of sandy granite, limestone and slate in and around several nature preserves in the area. Indigenous varieties and styles are promoted at Espelt from their fresh, crisp whites to their mineral and spicy reds before finishing on a pair of delectable fortified wines. "Coralí follows the purest tradition of Mediterranean rosés: pale, with the soul of a delicate white and the body of a fruity red. Fresh and mouth-coating, tangy and ripe at the same time."